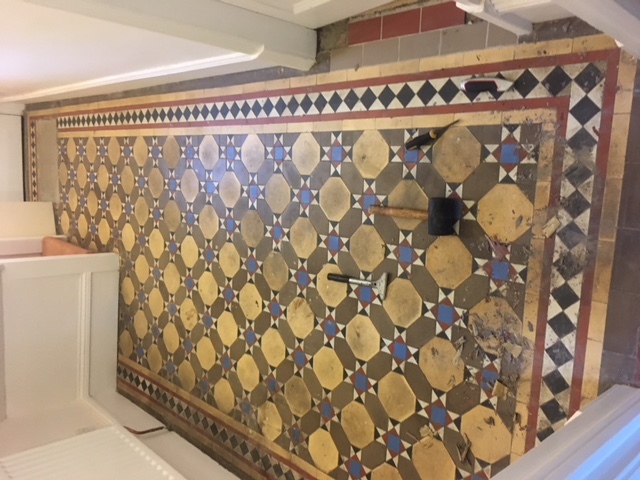 This is what we were faced with when we arrived at the customers house in Stamford to clean and restore their tiled floor. 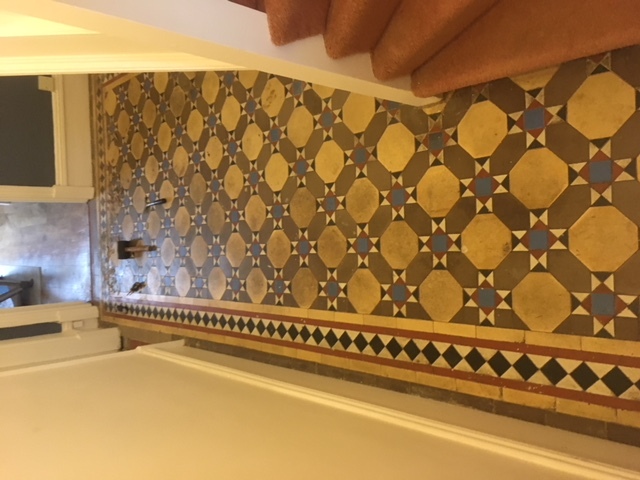 This had once been a beautiful floor and would have been a highlight upon entering the house when it was first built. Once all the residues of adhesive, paint and lots of other unknowns had been removed from the surface the deep cleaning could commence. To do this we used a heavyweight rotary cleaning machine and brushes together with an appropriate cleaning solution. This solution breaks down the ingrained soiling whilst the machine agitates helping with getting into deep down dirt. 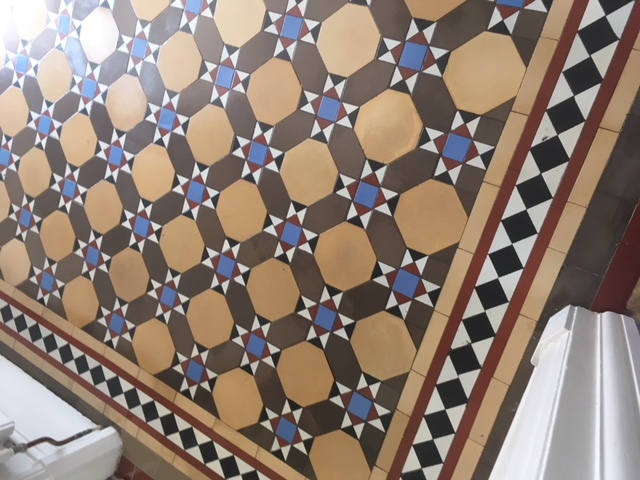 In this case as the soiling was so old we added some honing powder to the mixture which acts like a very fine grinding paste to mechanically clean the surface of the tiles. 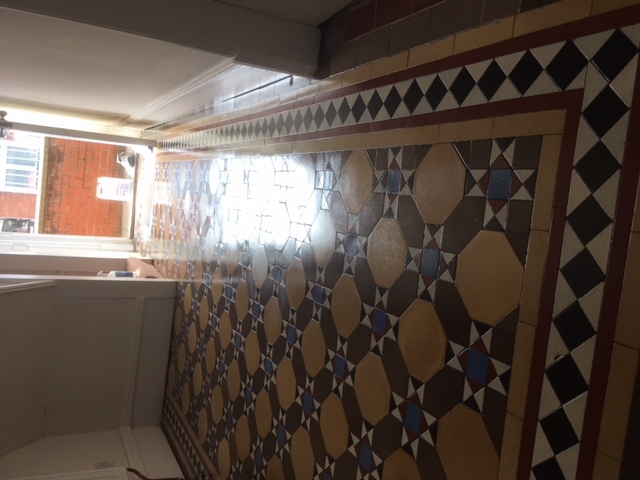 The tiles are then mopped clean and a second cleaning process took place involving a different cleaning solution and a stripping pad to remove any remaining soiling. Once that was done the cleaning solution was neutralised and the floor given a final rinse before being left for a couple of days to fully dry. 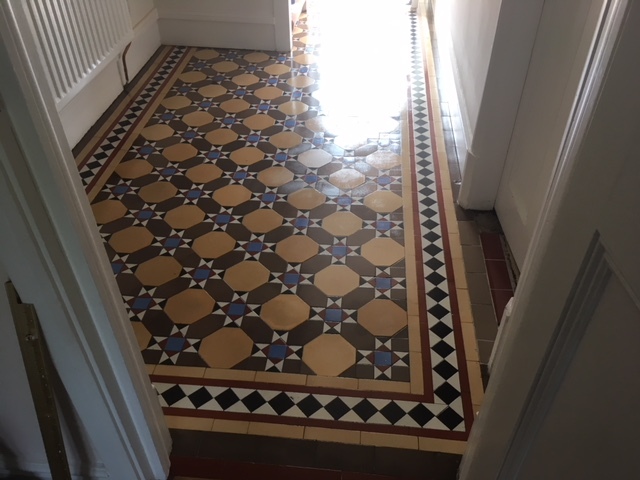 Its always important to seal a floor after cleaning or restoration so as to prevent dirt and oils being soaked back into the tile. There are a number of options depending on stone type and the finish required. We can advise on and discuss these with you at the consultation stage. 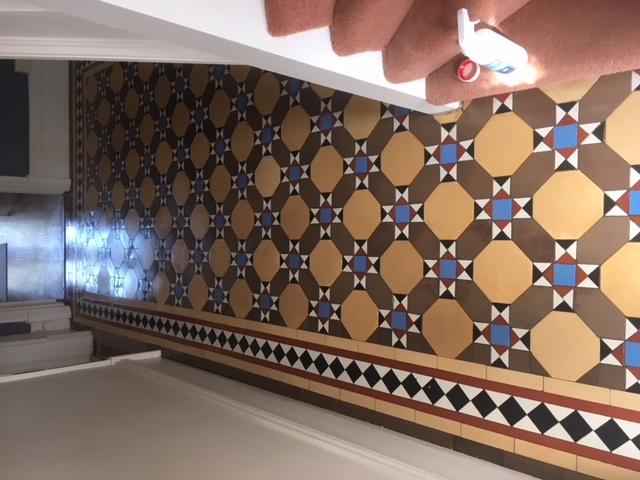 In this case the customer wanted the colours of the tiles bringing out and a sheen to reflect the light and make the hallway brighter. These are the end results.